To request materials in accessible format, sign language interpreters, and/or any disability accommodation, please contact Tigertail at 305 324 4337, info@tigertail.org, ten days in advance to initiate your request. TTY users may also call 711 (Florida Relay Service). Vizcaya has a free, secure parking lot and is also easily accessible by Metrorail. 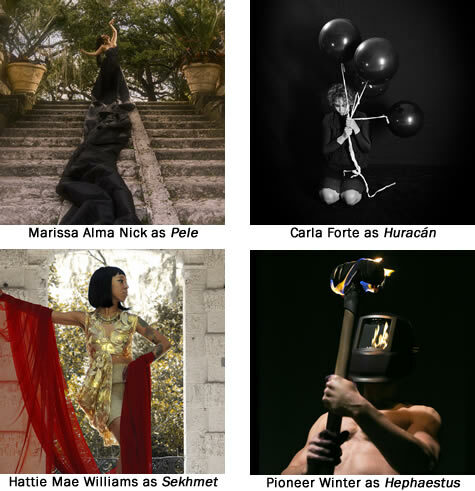 Tigertail has commissioned FIRE Gods in the Garden, a dance event by four Miami-based choreographers Marissa Alma Nick, Carla Forte, Hattie Mae Williams and Pioneer Winter. These four 5-7 minute solos will be performed sequentially, one after the other in the gardens of Vizcaya Museum & Gardens on a moonlight evening celebration. Each artist has selected a location and their fire god/goddess, Marissa Alma Nick – Hawaiian Fire Goddess Pele, Carla Forte – Mayan Fire God Huracán, Hattie Mae Williams – Egyptian Goddess of Fire and War Sekhmet and Pioneer Winter – Greek Fire God Hephaestus. The performances will take place within Vizcaya's monthly Gardens by Moonlight event. 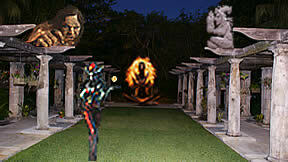 This is an opportunity to explore Vizcaya's bayfront gardens by moonlight and behold some fiery dance. The four solos will each be performed twice – once beginning at 7:30pm and the other at 8:15pm. The audience will be led to each artist's location on the Vizcaya grounds, one after the next, by guides who will be wearing headpieces created by visual artist Yura Adams.